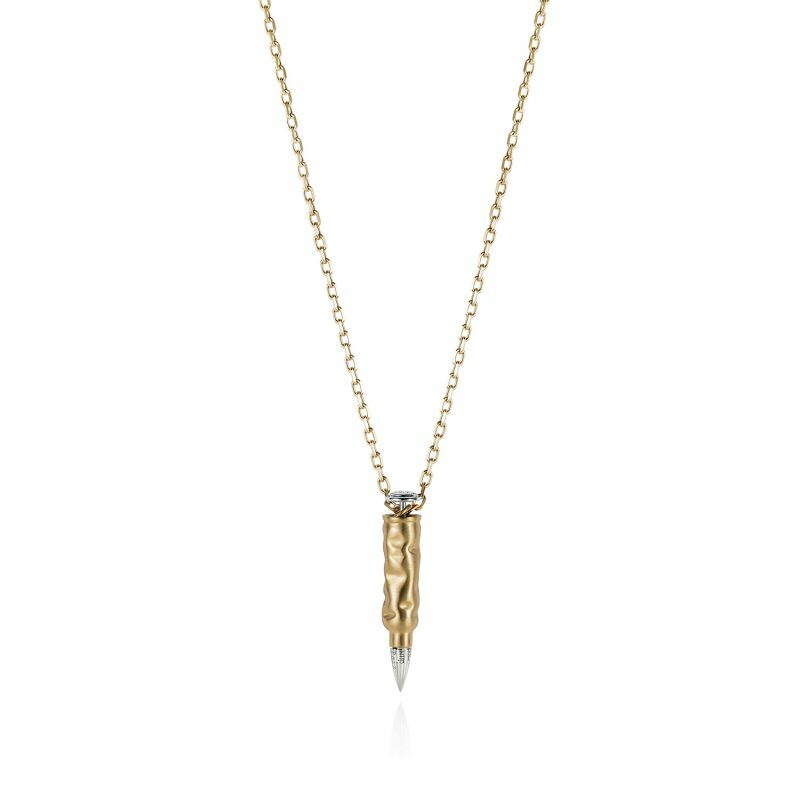 The Bullet Peace is a pendant in 18kt yellow and white gold. Part of the Bullet Peace Collection by Julien Riad Sahyoun. Each Bullet Peace a limited edition of only 333 pieces, paying tribute to Julien’s beloved friend Leila Alaoui, as a symbol of hope in turbulent times. Her remarkable photographic work inspired Julien to create a piece which could help to evoke change and unification across cultures and around the globe. The bullet is damaged as an anti-terrorist symbol, and the word Peace is engraved at the point in the eight most commonly spoken languages. All profits will go to Leila’s foundation.